Here at the website, you will find posts about my work as a professional editor, my speaking and teaching, as well as my writing. After many years as a best-selling contemporary author, developmental editor, and writing instructor, it’s a great pleasure to announce the release of my first historical novels. The series features sweet, sweeping historical romance with high emotion and realistically-rendered settings in 1880s Montana Territory. The Harper Ranch Series is now released by Debra Holland’s Montana Sky Publishing. See my blog post, “Rye’s Reprieve, featuring a doctor with a secret in 1886 Montana” by clicking on the link or the blog tab above. You can learn more about the research I conducted for the medical and veterinary professions as well as the record bitter winter of 1886-87 in Montana Territory. I also provide a map of the fictional town where the book is set. My professional life is devoted to writing and mentoring writers. 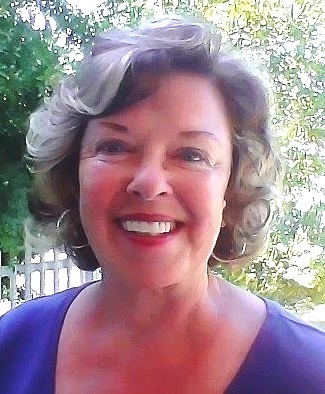 To that end, I conduct lectures, teach seminars and class series, host two year-round critique groups, serve as a developmental editor for Amazon and for several best-selling authors as well as aspiring writers, and I am writing a series of handbooks for writers called BestSeller Secrets for Fiction & Memoir Writers. My fiction has been published by Amazon, Harlequin Books, LNC Books, my own imprint, and now, Montana Sky Publishing. Connect here to see my author page on Amazon. Best-selling author, writing instructor, and editor Louella Nelson, M.A., recipient of the Distinguished Instructor Award from the University of California, Irvine, offers both fundamental and advanced courses in fiction and creative nonfiction writing. Many of her students and clients are agented, published, award-winners, and best-selling authors who write novels, short stories, memoirs, essays, and nonfiction books. Lou is published in fiction and nonfiction, has conducted successful author promotions, and has been featured on radio and television. A past-president of Orange County romance writers, she holds a master’s in English with an emphasis in nineteenth-century British literature and an undergraduate degree in English and creative writing from Chapman University. “Lou Nelson is absolutely the best writing teacher in our area…. She’s changed my life as well as my writing.” –Deborah Gaal, award-winning agented author of the debut novel The Dream Stitcher. Fostering Your Success as a Writer. Can you send me the Morgan’s crossing map please. I have read the first 3 of the Harper Ranch Series and have really enjoyed them – and am looking forward to #4! I love reading series that allow you to find out the background and lives of the various characters – it adds so much. One thing I wanted to make sure you knew was there was a long letter written to Joseph and was signed “Adelaida” and should’ve been signed “Susan”. It quite confused me, so I went back to verify and knew it had to be since she spoke of telling his parents something. Keep writing, I love your books. The only thing that could’ve made it a little better would be small things like when Faelan started working for Prudence we never found out if it went well, or the children were horrible or sweet, etc. That just keeps there from feeling voids in the story, no need to be more than a comment in a conversation. Again, I’m glad you are writing to widen the Sky Series – authors working together is wonderful for us readers! It’s wonderful to read your comments and know you are enjoying my Harper Ranch series. I will look into the signature you mentioned. And since I am writing book 5 now starring Rye’s precocious sister Amy, hoping to see the novel released in late summer this year, I will try to get in a few words about Faelan and the kids she works with. I did mention a couple of times in Rebel Love Song that she adores Prudence and Prudence seems to prize her help. Hope you write again, and do take a moment to leave your reviews on Amazon. It makes a big difference to authors! Keep writing, I love your books. The only thing that could’ve made it a little better would be small things like when Farman started working for Prudence we never found out if it went well, or the children were horrible or sweet, etc. That just keeps there from feeling voids in the story, no need to be more than a comment in a conversation. Enjoyed the Harper series. Keep me posted when the next book comes out. There are four books in the Harper Ranch Series, and another coming in summer 2019. Lovely! Thanks for sharing your bio and your writing. My publisher just released book four in the Harper Ranch series. Go to Amazon and type in my name. You’ll see them all. Thanks for writing to me. My publisher just released book four of the Harper Ranch Series, so Rye’s family and friends are continuing! Just go to Amazon and type in my name and you’ll see all the books. Thanks so much for taking a moment to write to me. Thanks for stopping by. Sign up in the Contact Me box to your right at top of page and you can be on the newsletter mailing list.